Home \ events \ events - 2017 \ Bases At The Black Swan Hotel: 22nd July 2017. 2. Jane Shattock, a healer and now author, revealing insights into the modern era, reincarnation, new medical techniques, water based engines and the way the World works. Jane Shattock, is from a navy family, and is one of the great and the wise, and she has been in a Bases at The Barge before, with a distant connection to James Casbolt. Here she shall discuss her book, and her mother’s extremely advanced writings about what is happening right now. 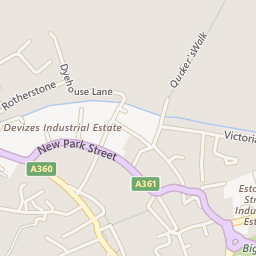 Jane is a Physiotherapist, practice Acupuncture and healing in and around Farnborough. 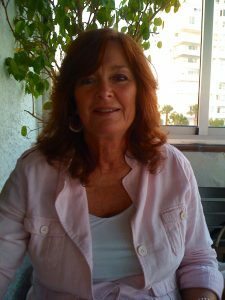 She will be talking about an experience her Mother had starting in about 1973 which led her to become a very good Medium. She has left behind a lot of information about Reincarnation, new medical techniques, water based engines and the way the World works. Using this information I have just completed my first book on Reincarnation which I am hoping to publish. Vanessa Bates, discussing the events surrounding her sons death, by this time just over a year ago. This is by way of closure, if this is possible, so people can chat with Vanessa, and find out what is and what is not true about her son, the late Max Spiers. Vanessa has news which she is holding back especially for this unique chance to meet her. Christine was brought up in a Jesuit run orphanage. She became an asset for MI6 then engineered the fall of the News of the World. Talks about how she came to find out she was a Monarch and her new book: Satan’s Butterflies. 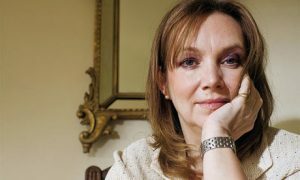 She is a Sunday Times best selling author and ex Fleet Street hack who was employed by the dreaded commercial arm of MI6. This will be her first speaking engagement, and Bases is delighted to welcome her on the ‘Bases At’ series of lecture informal presentations. David is a Target, literally, he was shot at a few years ago, and retains the airgun pellet in his neck, it is too dangerous to operate. His work is unique in the field, he researched the late Ron Adams, who died in the 1990s in fear of his life from the Greys. His family was repeatedly MILAB’ed at the infamous Bentwaters USAF base in Suffolk years before the infamous Rendlesham Forest incidents 1979 and 1980, and all concerned had a mortal fear of Spiders (Big Ones). Bases is delighted to able to give this brave researcher and campaigner the stage on the 22nd. Dave has much to say about the Lake District secret ET – Military bases and much more. Retiring for drinks at the Southgate Inn, near by until very late. 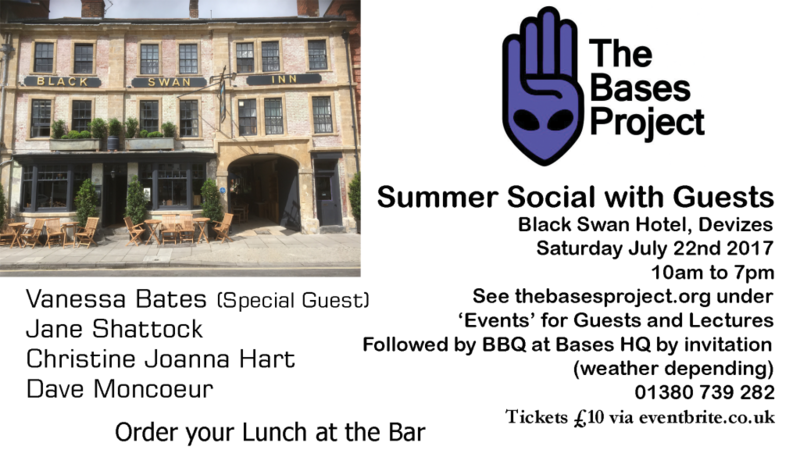 Click here for Ticket ordering and pricing information for Bases at the Black Swan Hotel. Please order lunch by calling the hotel, so its ready for you for 1pm. * Dossers and lay-abouts may crash out in the usual manner at Bases HQ (numbers very limited). The ‘Ireland Awakens’ Video LiveStream Has Been Cut Due To Lack of Donation Support.